A Jimmy Muitt goal gave the Rocks a point as they drew 1-1 at Harlow in the Bostik premier. The striker put Bognor ahead with a ninth-minute penalty but the hosts levelled through Emile Aqcuah 17 minutes later. Neither side could find a winner. The game saw Gary Charman begin his third spell in a Rocks shirt and there is a new injury worry for the club - Brad Lethbridge, one of their young Pompey loanee forwards, went off injured in the first half. A point leaves Bognor ninth in the Bostik premier - but only three points separate fifth from 12th as the season reaches the halfway stage. Pagham are out of the FA Vase after a 6-2 defeat at Sholing in Hampshire. Callum Overton and George Gaskin scored but only after the home side - previous finalists in the competition - had made their progress safe. 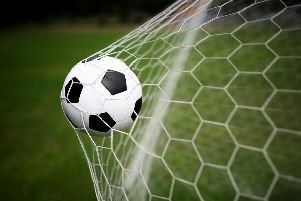 Chichester City came from behind to win 3-2 at Langney Wanderers in the SCFL premier division. Sidlesham had a stroke of luck in SCFL division one - they were 3-0 down at Mile Oak when floodlight failure caused the game to be abandoned. Selsey, Midhurst and Bosham were without matches. In rugby, Chichester notched their fourth straight win with a 30-9 success at Cobham. Bognor beat Eastleigh twos 48-5 at Hampshire Avenue.